Step 1: If you don’t have a homepage available, Navigate to Pages > Create A new page. Don’t forget to enter a title, slug and remember the ID of page. NOTE: Shortcode can be changed for each header style. We will list all shortcodes below which appropriate for each header style. Step 3 (Optional): Install & Activate Widget Logic plugin to gets exactly page ID that you want to display the shortcode on the header. After installing Widget Logic plugin, you will have Widget logic option on the widget. Enter the page ID code to display the widget on your page. 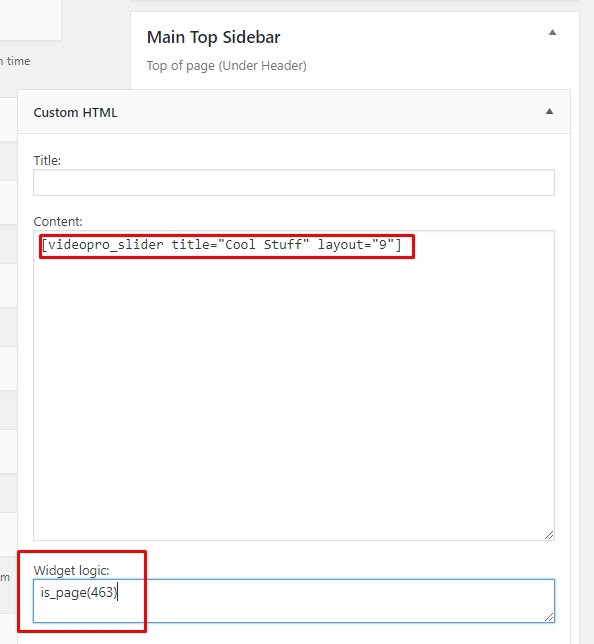 Follow this guide below to learn more Custom Code segment for each Header Style of Homepage.